There is no doubt you have heard the words credit score before but what does this really mean? Your credit score is essentially a tool that is used by lenders to help determine whether you qualify for a particular mortgage, loan, credit card or service. 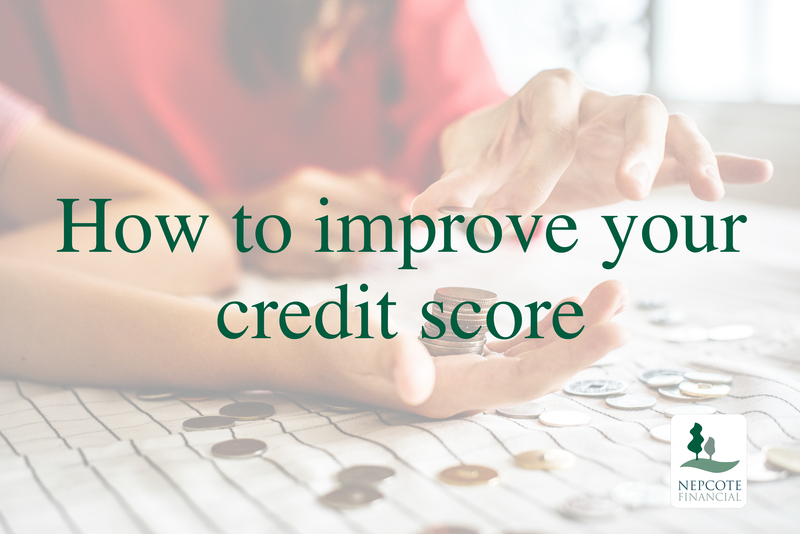 Your credit score is made up using the information on your credit report as well as additional information which you may have supplied as part of your application, lenders use a mathematical model to calculate a score (your credit score) that represents your credit history. This helps the lender to determine what kind of borrower you are, and how you will manage your repayments. There are many factors that can affect your credit score and they will vary lender-by-lender, but there are certain steps you can take that are likely to have an impact on the amount of credit you can obtain. When looking to take out a mortgage a good credit score is incredibly important in ensuring that you can get the best possible deal. This may seem like a strange point. How can being on the electoral register have anything to do with my financial history? The reason making sure you’re on the electoral register at the correct address affects your credit score because it allows any interested lenders to have confirmation that you are who you say you are and that the details you have provided are accurate. If you’re not already registered to vote, and want to ensure that your credit score is an accurate reflection of your financial history, it is important to have your correct details on the electoral register. Most of us are familiar with a direct debit and will probably have a fair few set up to make payments for things like car insurance, phone bills and maybe even a monthly gym membership. It’s important to keep track of your bank balance to ensure that all of these payments can be met on time. If you have missed any payment it’s not the be all or end all, just make sure you bring the account up to date. There are many reasons why you might need to apply for credit but make sure that you’re only applying for credit when you really need it. Many lenders will view multiple credit applications within a short period of time as a bad thing. Applying for multiple credit applications can indicate that you’re in desperate need of funds, which doesn’t look good on your credit score. Proving that you can pay off debt is important but paying off your dept by moving your credit around is not a good way of improving your credit score. Taking out a new loan to pay of existing debt can cut the interest you pay (good! ), but it won’t improve your credit rating. This is a great solution for first time buyers who often don’t have much of a credit history. No credit can also be bad credit. Try opening up a credit card and using it for small monthly payments, pay the balance in full every month and you will help build yourself a good credit rating. Don’t just wait until you apply for credit to find out you have bad credit. Getting declined for credit can make your credit score worse. Keep an eye on your credit score each month for free by on www.Noddle.co.uk (On clicking the above links you will leave the regulated site of Nepcote Financial Limited. Neither Nepcote Financial Limited, nor Sesame Ltd, is responsible for the accuracy of the information contained within the linked site). Want help with getting a mortgage? Remember it is still possible to obtain a mortgage with a poor credit history but the rates offered may not be as competitive. We can help you make sure you get the best possible rates for your mortgage no matter what your credit score. Get in contact with one of our experienced Mortgage Advisors today via our contact page or give us a call on 01903 251053. We look forward to hearing from you!